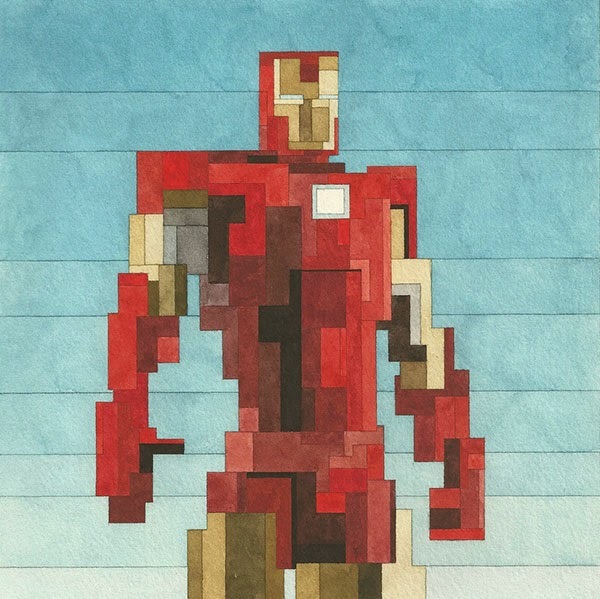 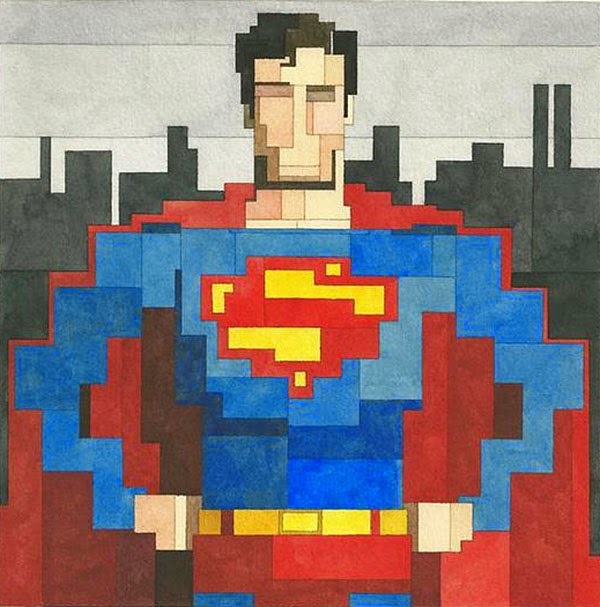 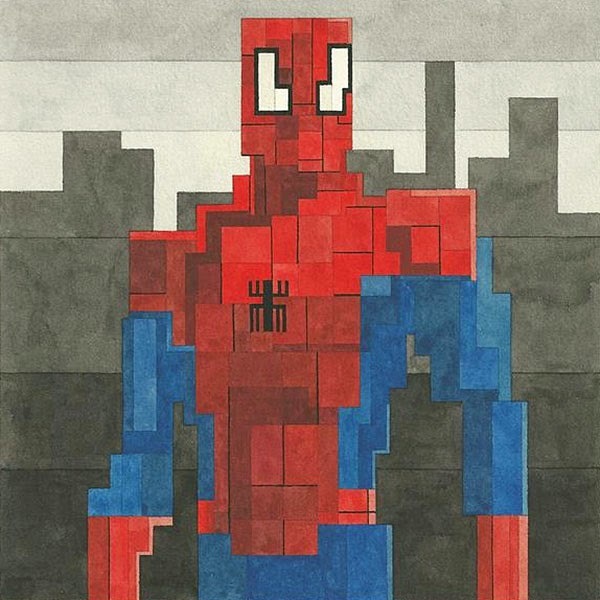 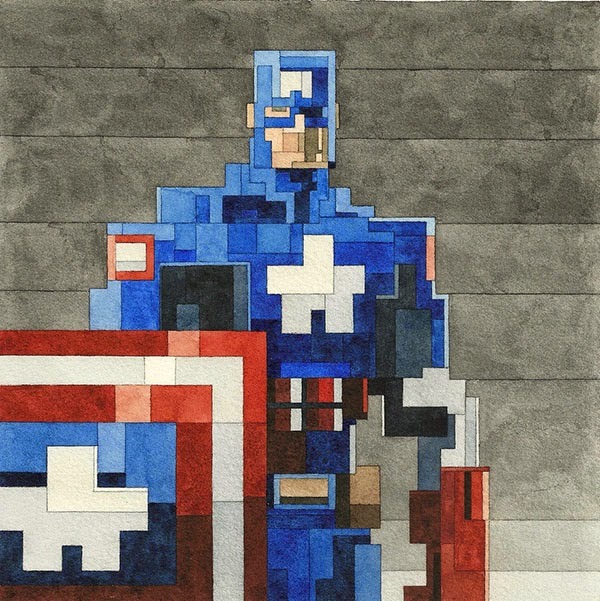 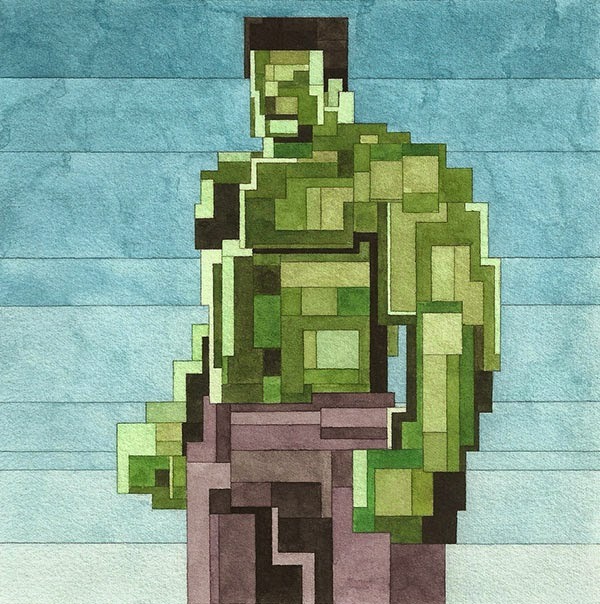 Watercolor paintings of superheroes done in the 8-bit graphics of old-school video games. 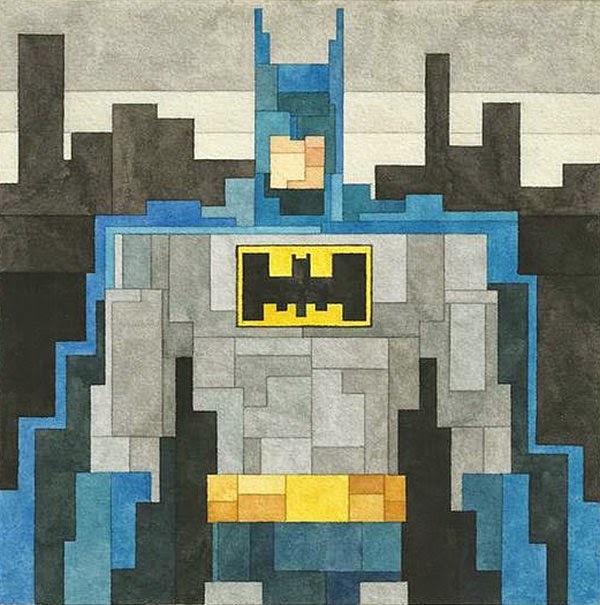 The paintings are created using rectangles and squares of different shapes and sizes, similar to a cubist style of composition, but are reduced to their basic forms with a flat color scheme. 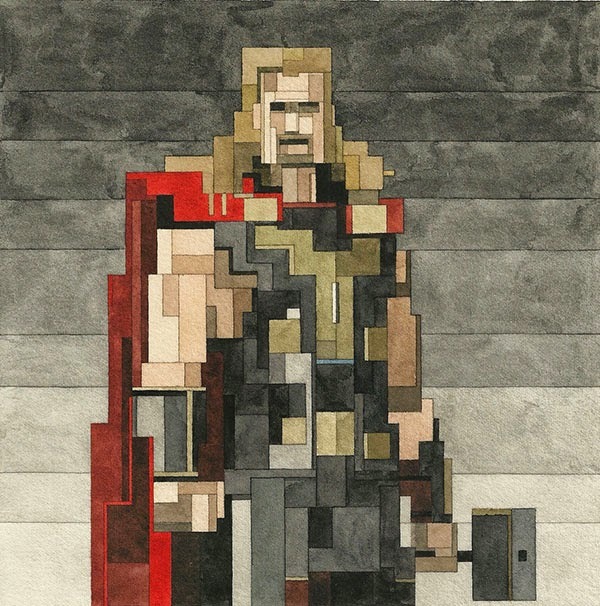 Lister likes to use the principle of pixelated images as a guideline for his works which makes the paintings enigmatic and familiar. 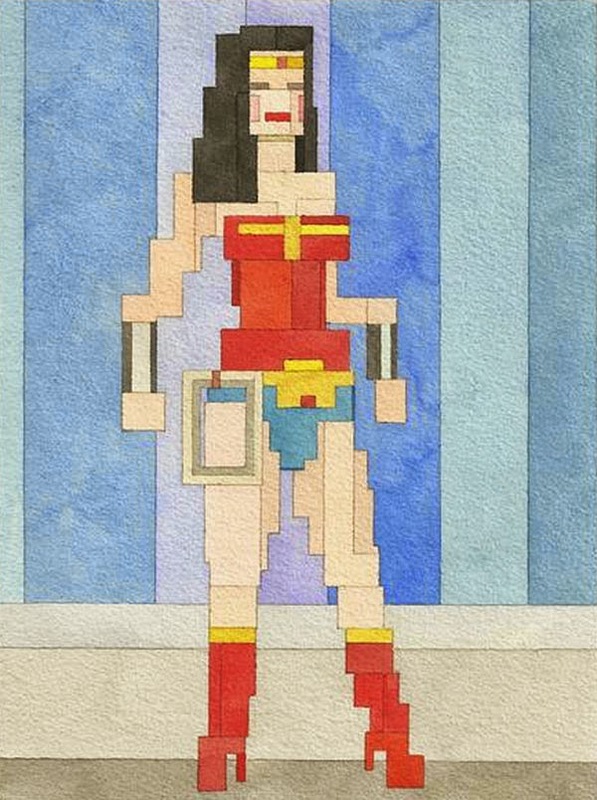 Adam Lister lives and works in New York.